My sister Kasey and I grew up in a normal, suburban family. We were raised in a nice community in Walnut Creek, California. We attended the same schools through the years, graduated and raised our own families not far from our childhood home. Our parents were married at the young age of 21 in 1955 in San Francisco. They had three children: Buck, Mike and Kasey. Buck was born in 1956, I was born in 1958 and Kasey was born in 1966. Picture perfect. Fast forward to 2016, the day before Thanksgiving. It was supposed to be a simple relaxing day between mother and son, sharing a small pizza at the local pizzeria. Our dad had died unexpectedly the previous year, just a few days before Christmas. It had been a hard hit for all of us, and Mom, who had recently turned 82, needed a little help setting up for the traditional large family gathering the following day. During the meal I made some small talk about a recent DNA test I had taken from Ancestry.com. Mom seemed a little concerned and asked with some trepidation what I had found. I told her about the many second- to fourth-cousins that I had never met, and how interesting it was that we had so many distant relatives. I suddenly noticed that she was clutching her drink. Then she started slowly weeping and said, “I have a secret you need to know before I die.“ At that very instant I knew that whatever Mom was about to tell me was going to change our lives forever. To say that hearing this was a shock is a huge understatement, and for a brief moment it was hard to look at her. How could our parents have kept this secret for six decades? Did others know? Come to find out, yes, we were literally the last to know. What had happened? 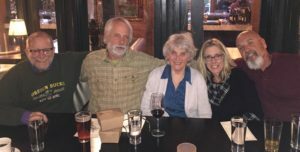 Mom never pursued nor heard another word about her baby, but because adoption policies were much more open in the 1950’s, she knew the adoptive parents‘ names and the town where they lived, and that her little girl had been named Mary Louise Meyer. The hunt was on for our sister! The excitement was crazy, because MaryLou would be only 62 years old so chances were she was still alive! Kasey and I asked each other so many questions: Do you think she knows she was adopted? Will she want to meet us? Will she look like us? We were scouring the internet for anything we could find. As the days rolled by, we were getting a little discouraged, but finally Kasey found birth records. The hunt was over! We found her! We found MaryLou! Until . . . only a few short minutes later . . . our excitement turned to tragedy. 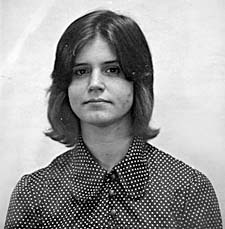 I will never forget the headline spread across the internet search: “MaryLou Clancey, born Meyer, died November 18th, 1978 in Jonestown, Guyana.” What a numbing and heart wrenching message, a horrific transition from hope and blessings to death by suicide at the hands of Jim Jones. We would never have the joy of meeting our long-lost sister. Although MaryLou was gone, the journey had just started. We wanted to know our sister. Was she married? Did she have children? Who were her friends? Did anyone survive? Why Jim Jones? We had so many questions. In our quest for answers about our sister, we quickly found this website, which thankfully guided us, not only to information about Jonestown and Peoples Temple, but also to MaryLou and her friends. 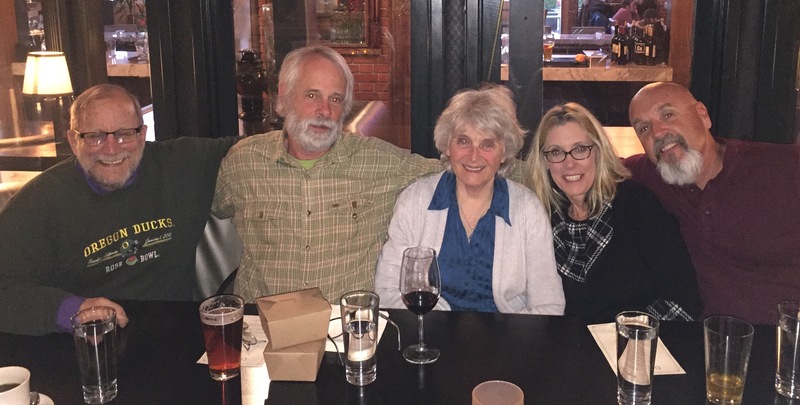 Our first contact was Sally Archambault, who had written a wonderful background story of MaryLou’s early childhood and teen years. 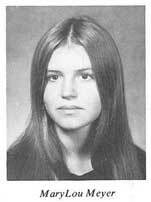 Next was Kristine Alles, who was MaryLou’s best friend during the Temple’s early days in Redwood Valley. Kristine brought us into the beautiful light of the amazing survivors. Three of those amazing survivors were to be next on our journey: Tim Carter and Tim and Jean Clancey. Tim Carter knew MaryLou almost her entire life, growing up right around the corner from her in Burlingame, California. Tim and MaryLou Clancey had been a young couple, and all were very close friends. Through this friendship, and through the turmoil of the 70’s, all would come to join the Temple at different times. 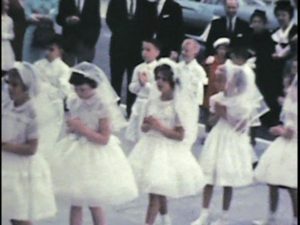 Although the discovery of our sister was shocking for us, imagine how shocking it was to all MaryLou‘s friends and family when our search was announced. Most knew she was adopted, but no one had expected her biological family to surface 38 years after her death. I’m sure no one could have experienced this shock more than Tim Clancey, MaryLou’s husband in 1978. However, everyone we have spoken with during this journey have been the kindest, most open and caring people we have every met. As Kristine Alles stated during one of our first conversations, “There will be no secrets. There are no questions we will not answer, so please feel comfortable asking anything.“ And we did. Our family cannot put into words or express how thankful we are to have personally met Tim Carter and Tim and Jean Clancey. We didn’t truly understand raw honesty until we met these amazing people. Tim Carter has been the most transparent person we have ever spoken to, even perhaps to his own detriment at times. You better be prepared to handle the truth, because with Tim Carter, that‘s what you get! Despite Tim’s own unfathomable loss, he is gentle and beautiful in every way. We love Tim Carter, and words can never express how thankful we are to him as we have traveled this journey. Tim has brought us so much closer to our sister, and we are so thankful. Tim and Jean Clancey welcomed us into their home and shared their deepest and often painful memories. Tim and Jean not only gave us an insight into MaryLou‘s life, they also gave us the most wonderful gifts which helped us feel even more connected to our sister. Jean gave us a letter that MaryLou had written to her from Jonestown. We are humbled that Jean allowed us to have it, and we will treasure forever. Tim Clancey not only shared his life experiences about MaryLou, but also gave us the most amazing picture of our sister in her final years. There are memories we will take with us forever. Everyone from our generation knows the story. It was infamous, tragic and hard to understand, yet now it has new meaning. We learned so much through all these emotional conversations, but it was also hard to take in. Not only had we uncovered this six-decade long secret of our sister, we got thrust right into the Peoples Temple and Jonestown vortex of never-ending questions. Although we have watched numerous documentaries and read several books, including Seductive Poison, Peoples Temple-Peoples Tomb, Stories from Jonestown and Raven, many questions still remain. However, we believe our sister, like many others inside the Temple, were fighters for social justice, equality, integration, abolition of racism and so much more. Our initial view of Temple members as mindless cultists has permanently been erased. But the gruesome reality that the Temple had indeed evolved into a cult, has remained the same. Jim Jones lead these innocent people to believe in the unbelievable, and it resulted in catastrophic human loss. We never met our beautiful MaryLou, but the impact of her death on Kasey and me is no different than a sister who shared our lives every day. Kasey had dreamed of having a sister her entire life. There is no way to adequately describe seeing your sister’s picture for the first time after 60 years. We immediately noticed the tinge of red hair, which is from her Swedish side, and her beautiful dark brown eyes, which are from her mother. We even learned that she loved music and singing, which is a strong trait in our family. But we also know we will never get to share our lives with her. We lost our beautiful sister MaryLou on that awful day in 1978, but through this journey, we have gained new family. We love you all!